As an ATTORNEY since 1996 and a REALTOR® since 2004, my experience, knowledge and background has proved invaluable to my clients, whether they are selling or buying a home. My goal is to be a walking-talking-thinking encyclopedia for Sellers and Buyers to whom they can turn to for answers to any type of question and be a resource of information so they feel comfortable that their needs and wants are being addressed properly. 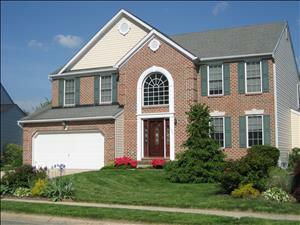 I work not only near my home in Harford County, but also throughout Baltimore City, Baltimore County and Cecil County. Whether you are in Bel Air, Havre de Grace, Hampden, Towson, Canton or Perry Hall you will get the same careful attention to detail from me. My pledge: since much of my business is from referrals, for each buy/sell I have pledged 5% of my pre-tax commission to the organization that has brought me together with friends and clients. Whether it is Scouts, my church, or school, it is my pleasure to give back to help those places that are integral parts of my family life. And if you so choose, I will give the 5% back to a charity of your choice. Just let me know! HOME SELLING SEMINAR Sat 4/6/19 9am-11am!